People love their coffee. A great coffee deserves more. If you love coffee as much as we do then you should think about how you drink it! If you are like many coffee lovers you are drinking your coffee from your favorite coffee mug that you have had for 10+years. It is time to treat your coffee brew like you would treat a fine meal. 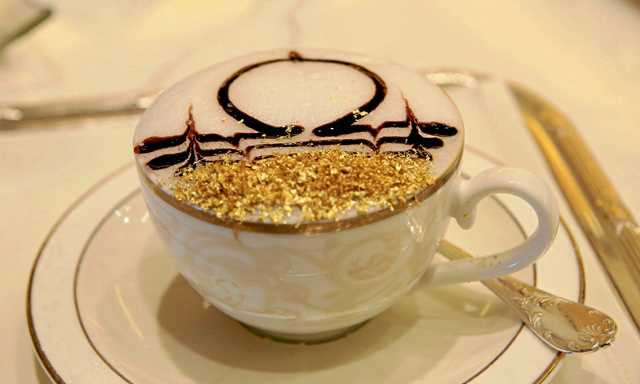 It is time to drink your coffee from luxury coffee drinkware. 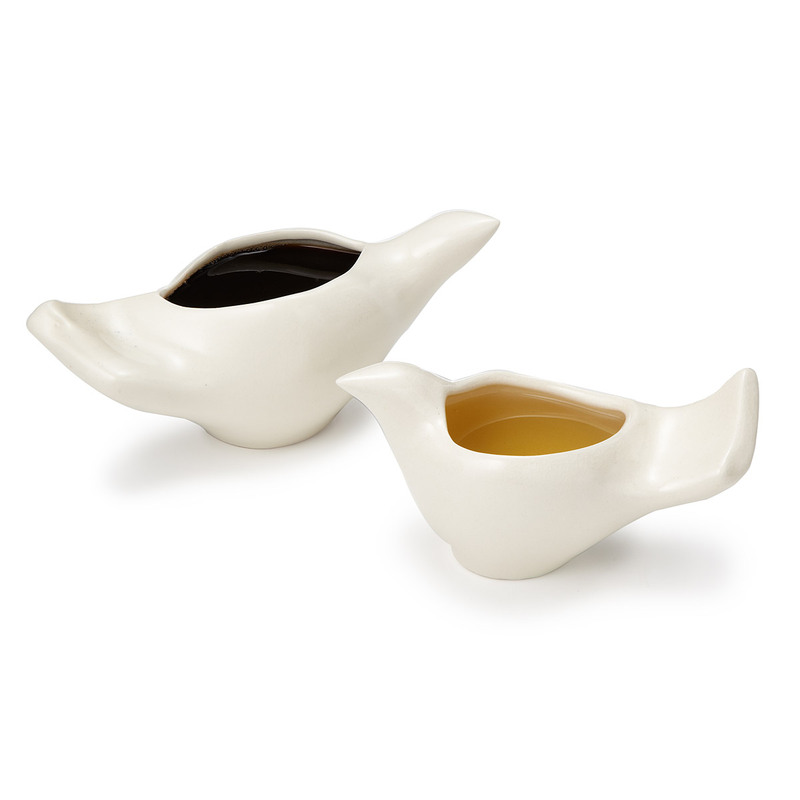 Moreover, if you know a coffee lover than you have discovered the perfect gift. You can find fine coffee mugs and luxury drinkware many places. For example, you can get branded luxury crockery at specialty shops like Branded Cup Co. You can even get incredible coffee mugs at sites like Etsy where cups are hand crafted by individual artists. Luxury coffee drinkware does not only include the coffee mug. 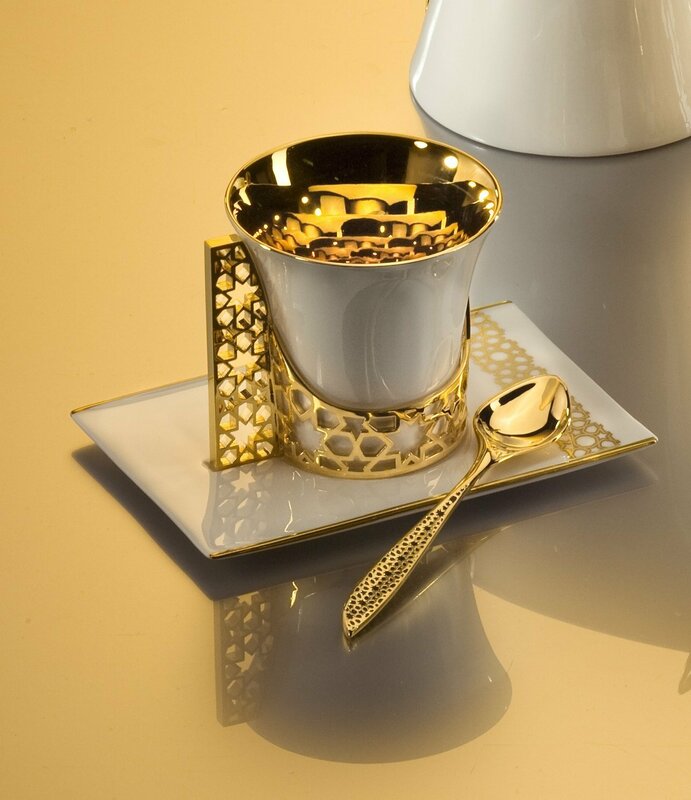 The example below is a royal coffee mug set that includes a matching golden spoon and unique saucer that holds the mug in place. The next example is a bit more traditional but has a superb presentation for any after dinner coffee drink. This coffee drinkware is served in a high end local hotel, but would be just as suitable for a dinner party in a luxury home. The specially design Love Bird Coffee mugs below are perfect for the newly weds or for any couple who enjoys drinking morning coffee together. We hope that this article inspires you to start drinking your coffee in a better way. Throw away that old coffee mug and pour your brew into the luxury drinkware that your coffee deserves!